CSN formed in 1968, releasing their eponymous debut album the following year, which went on to be a huge commercial success. Later that year, the trio expanded to a quartet with the joining of Neil Young and embarked on a 39-date tour, which included a performance at the first Woodstock Festival. The supergroup then released their first album, Deja Vu as CSNY in 1970. Shortly after, the band split acrimoniously and it was then four full years before they publicly reunited. Their epic stadium tour in the summer of 1974 took in 30 gigs in 23 locations and was hugely successful both commercially and creatively. 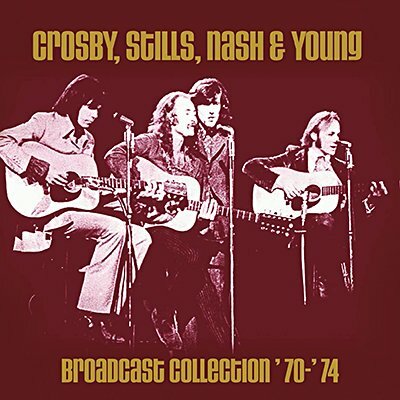 This 6-disc collection brings together incredible performances, broadcast on US radio, from the early to mid 70s combining the powers of legendary figures David Crosby, Stephen Stills, Graham Nash and Neil Young.